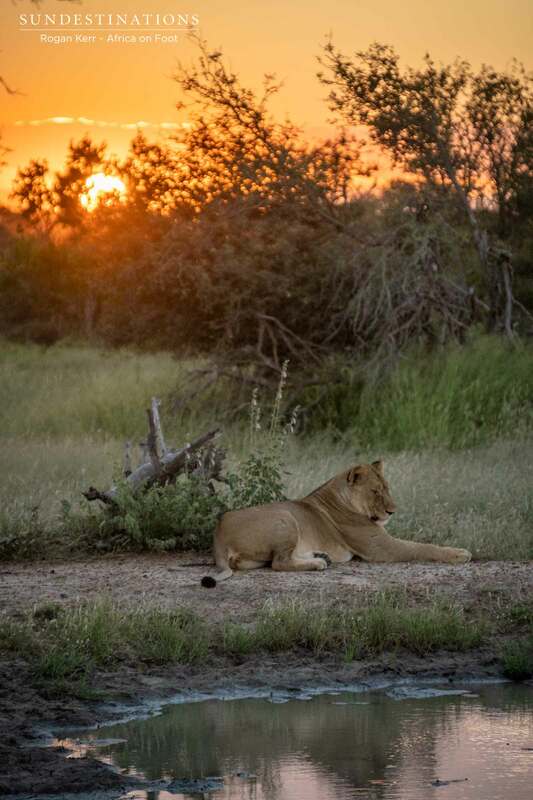 We’ve had a fairly turbulent year when it comes to lion pride dynamics in the Klaserie Private Nature Reserve, with rather feeble attempts from various prides and individuals trying to establish themselves in the area. There have been plenty of lion sightings over the past year, but no dominant presence was felt. There was a definite crosshatch of prides and individuals just waltzing through the reserve, hanging around for a while and then leaving. The African on Foot and nThambo Tree Camp traverse had plenty of room for a few powerful Panthera leos to infiltrate. After a weird year of cat dynamics, we have what appears to be a dominant pride in the area : The River Pride. This pride of 9 lions was originally part of a mega-pride which splintered a while ago. 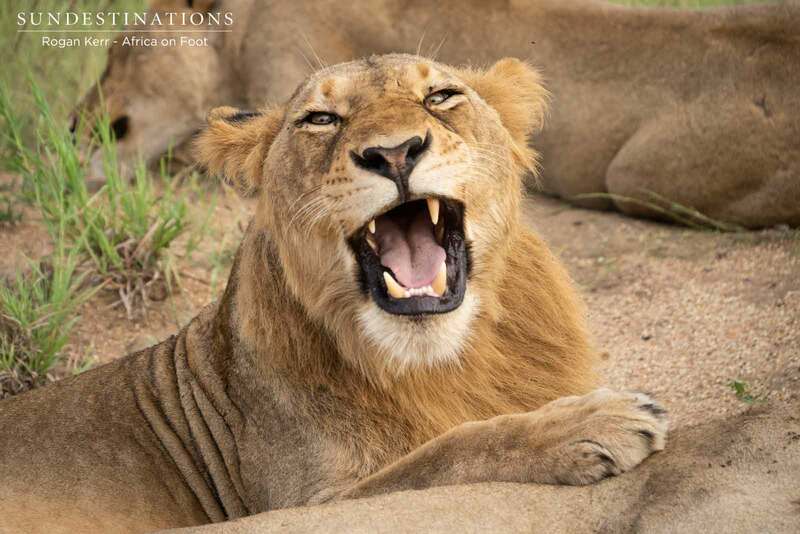 After a number of consistent sightings over a period of 3 months, and the lion’s fervent territorial marking coupled with aggressive vocalisations; Mauritz deemed it safe to assume that River Pride is here to stay. 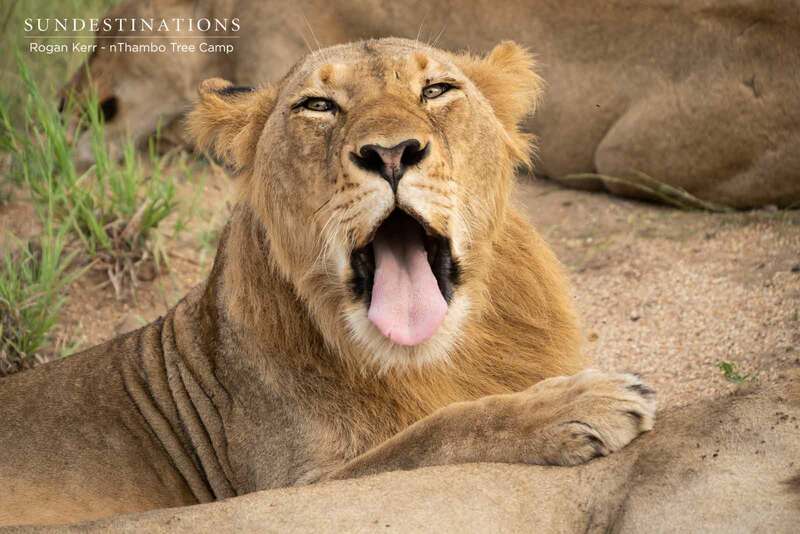 The images of the River Pride have flooded into our folders over the past few months, so I decided it was time to pick Mauritz’s brain about the recent lion sightings in the Klaserie. And – let’s face it – we owe our avid fans a lion catch-up! 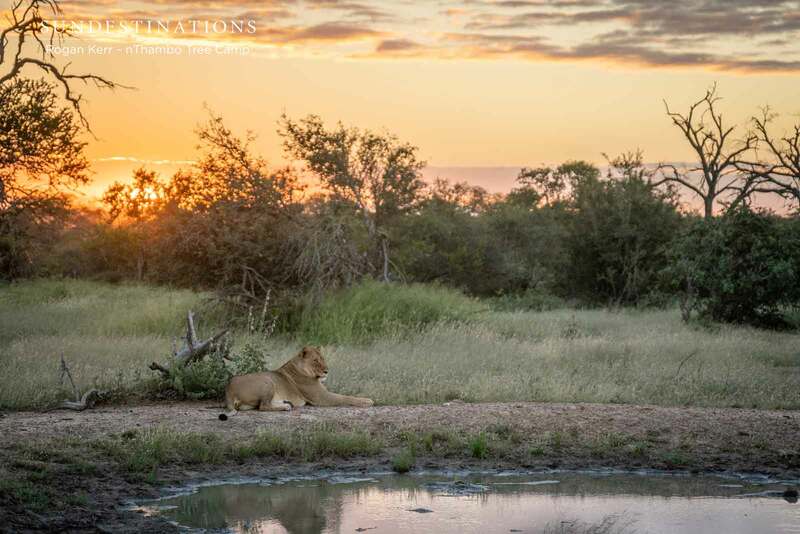 Mauritz has been instrumental in helping us understand the current happenings in the Klaserie, and it seems the lion dynamics are pretty complex and intricate. Something we’ll never actually truly understand! 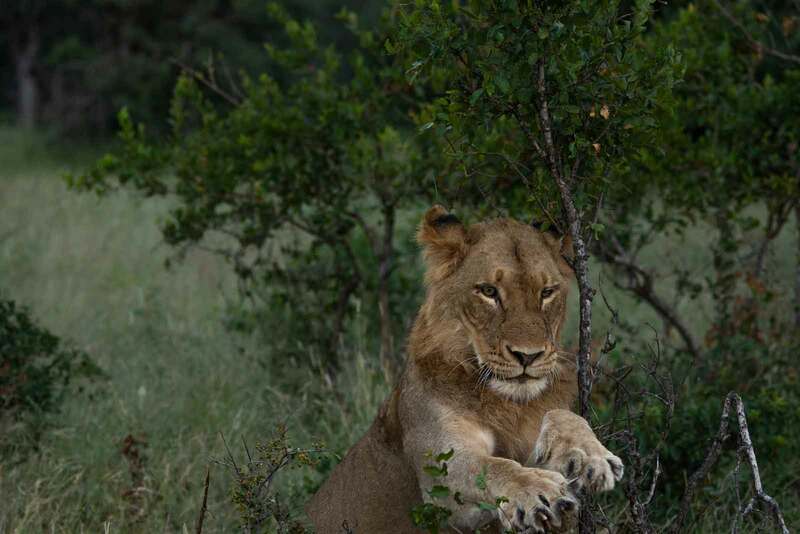 The River Pride were once a mega pride of lions only occasionally spotted on the Africa on Foot and nThambo Tree Camp traverse. Individuals, breakaways and groups are often spotted in neighbouring reserves. 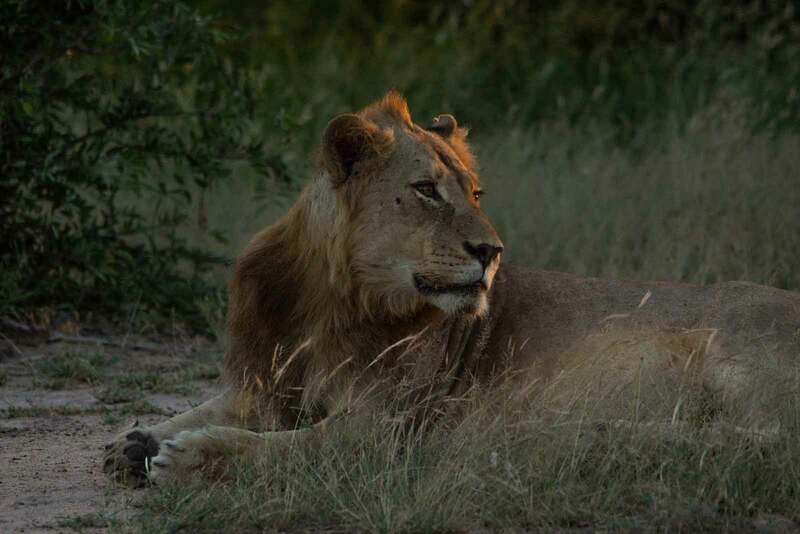 After the mega pride had dispersed -as it does when the young males come of age – our section of the Klaserie began to enjoy sightings of a pride of 9. There are 5 young males (4 – 4.5 years) and 4 females. 2 of the females are really old, and 2 of them are youngsters. We believe that the mega pride split into two. 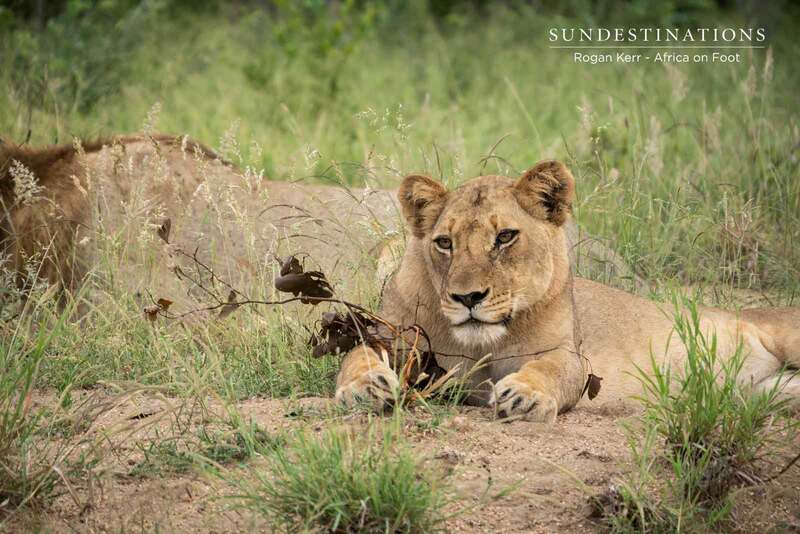 Mauritz says that their territory is quite large but over a course of 3 months, guides have enjoyed consistent sightings of the pride. The lions are often heard vocalising well into the night. Over the past two weeks they haven’t been seen, but Mauritz seems to think that they are expanding their traverse and they’ll return. The pride have staking their claim on our land, and marking territory rather vigourously. Interestingly enough, in a neighbouring reserve (Balule) an older River Pride lioness single handedly took down a kudu bull after it was weakened from battle. Clear proof that the River Pride is scattered throughout many neighbouring reserves and other sections of the Klaserie. The Ross Pride were an absolute legacy in the Klaserie. 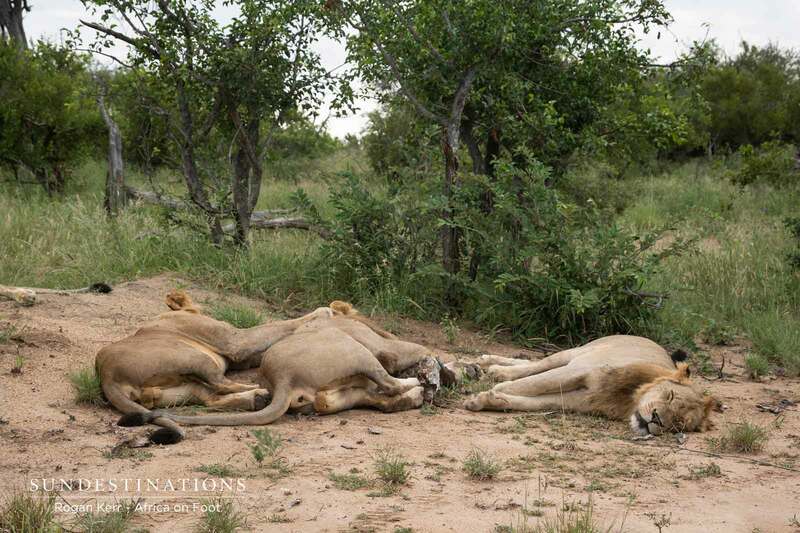 The pride and the breakaway lionesses were definitely a dominate force in the area, but eventually the breakaways succumbed to natural factors and passed away. The two younger Ross lionesses filled their place and were often seen while out on drive. Sightings of them dwindled in recent months, until just the other day when one of them reappeared. While out on drive a scraggly lioness with a limp was seen. 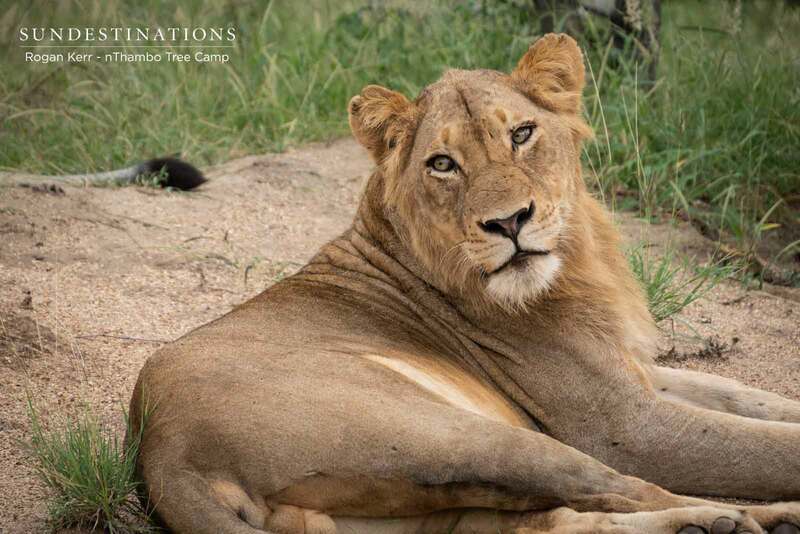 There was debate as to her ID, but Mauritz remains certain that it was the Ross Pride lioness who always had the unmistakeable limp on her left hind leg. This lioness was spotted on Monday again, but she was chased off by a herd of elephants! This coalition of two youngsters seem to be testing the waters, but have yet to gain confidence. They were spotted again on yesterday’s evening drive (Wednesday). Mauritz said that these boys are about 5 years old, but they’re incredibly nervous. They were trying to advertise territory but as soon as they vocalised, the River Pride responded. After hearing these vocalisations, the coalition literally sprinted leaving a trail of dust in their wake. Mauritz estimates the distance fled was in excess of 20 km because the males were spotted in the east block the following morning. The feared and fearless Hercules Pride was never an established pride within the area, but certainly made their mark in the reserve. This bunch of warriors lived up to their namesake and never backed down from a battle. They provided us with many epic showdowns, scuffles and entertainment. In recent times they have been spotted on the rare occasion, but more on the western side of the traverse. 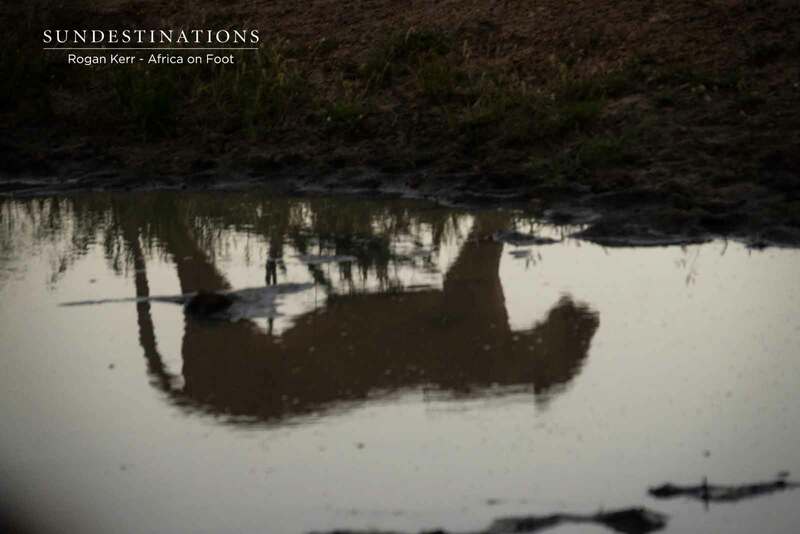 Mauritz says that they are definitely not the lions of the area, and are possibly more of a nomadic pride. The Western Pride are mainly seen on the east of the traverse, with the most recent sighting of them on a giraffe kill. They don’t really come into the west side of the traverse anymore. These are images of our – dare we say it – local pride of lions : The River Pride!